Cas Holmes will be our Speaker on Friday 9th November and Worshop Tutor the following day. read more…. 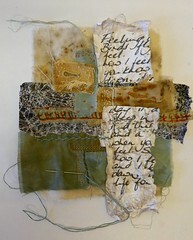 This entry was posted in classes & workshops, events, exhibitions, textile art, what's on. Bookmark the permalink.